Date: 20.02.2018 | House, Trance | Tags: Macarize, Winter Picks, Macarize Records, Mindset, Sarah Shields, Paul Arcane, Vitodito, Shwin, Talamanca | Download Macarize Winter Picks (2018) for free. 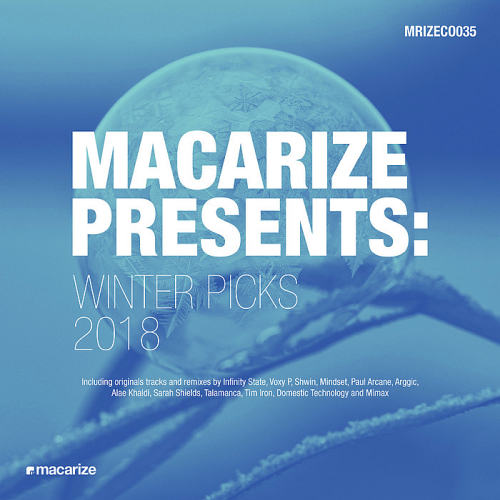 Macarize Winter Picks Hit collection with lots of interesting tracks. Macarize is simply the manifestation of timeless passion for electronic dance music by Sweden-based label owner and A&R, Kristoffer Ljungberg. It all started with a vision to give way to new-bloods in the industry whose talents deserve worldwide recognition. For Macarize, discovering new talents is a vital part in sustaining and moving forward in the scene. Flourishing in the digital age where almost anyone can create music, Macarize sees to it that it stands out in the industry. With this, the label only releases the finest and most brilliant progressive house for its listeners. After all, quality can never be compromised.